Lovers of the strange and curious - we've got something for you! 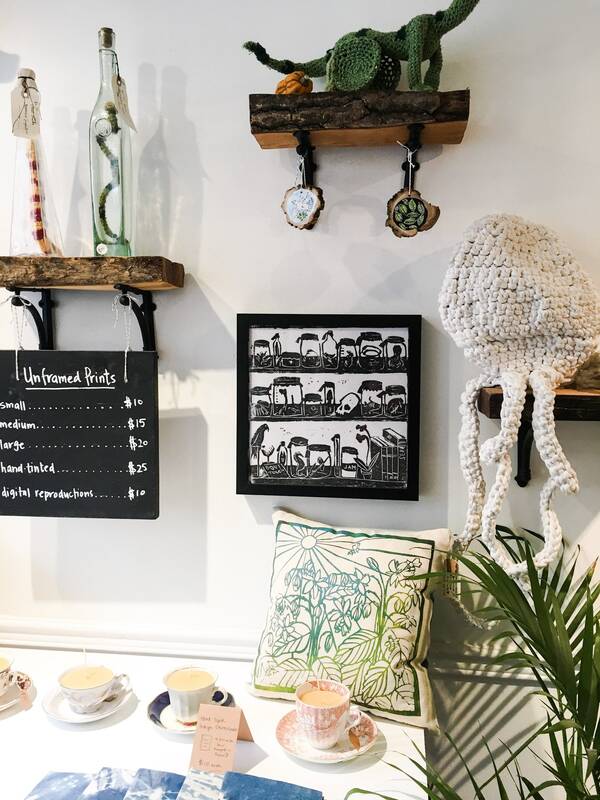 This open edition lino block print of a wunderkammer, or cabinet of curiosities is the perfect piece for the strange corner in your home, or to hang above your own collection of curios. 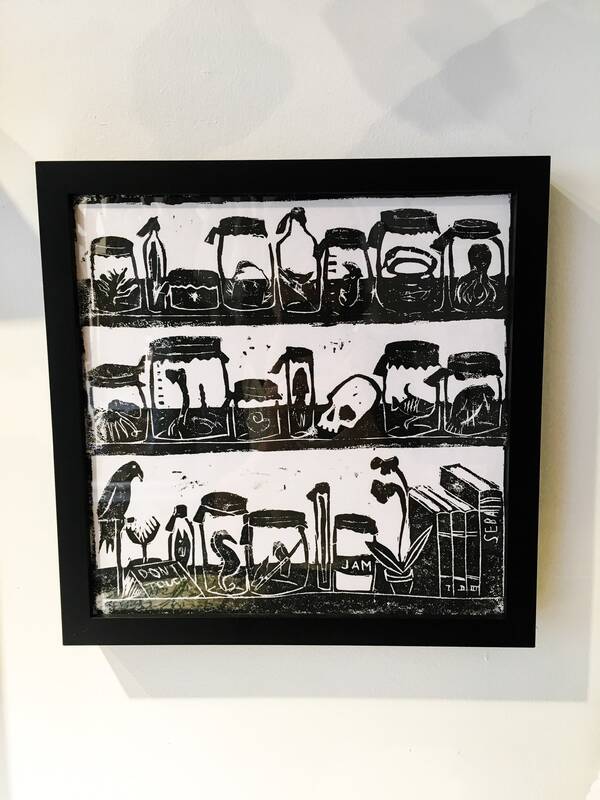 Featuring creatures in jars, skulls, and references to Albertus Seba's incredible Cabinet of Natural Curiosities, this print is a must have for anyone with a penchant for storing oddities in a mason jar. The print, 12" x 12" comes in a black wooden frame that can easily be hung in your home. Inspired by a love of nature and the strange and beautiful, this block cut hods a special place in our imaginations.